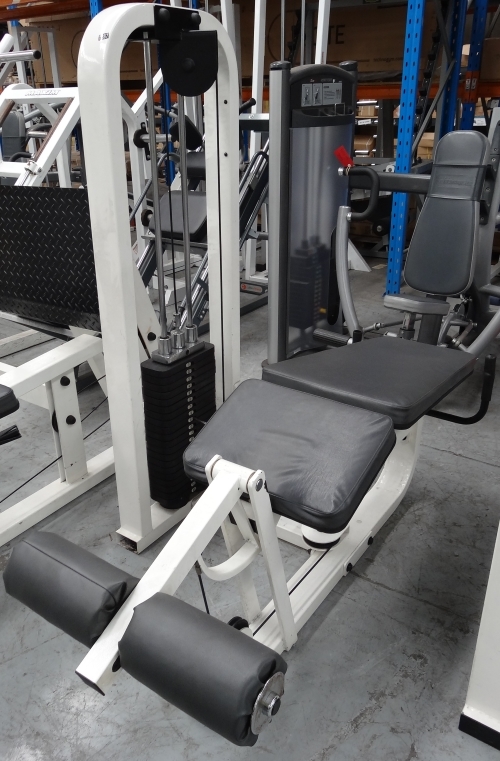 The Proclub Leg Curl Machine sets the standard for workout comfort and convenience. Not only does it offer ample strength, but high performance too. The machine provides the user with an incredibly comfortable workout, which is also remarkably smooth. A high quality, proven design never goes out of style, and the Proclub Leg Curl is undoubtedly proof of that being true. It’s uniquely engineered center drive cam system distributes weight evenly to eliminate lateral torque. The bio-mechanically accurate pivot point ensures ergonomically correct body positioning allowing for more natural and complete Hamstring and Leg Biceps development. Elliptical cam keeps arc of movement smooth and provides variable resistance through full range of motion. Pop-pin adjustable foot pads assure proper alignment. The Proclub Leg Curl is a machine big on strength, style and performance, and you can’t beat that much desired combination. Mainframe: 2″ x 4″ high-tensile strength steel. All 4-side welded. Leg Curl for sale, feel free to enquire above.